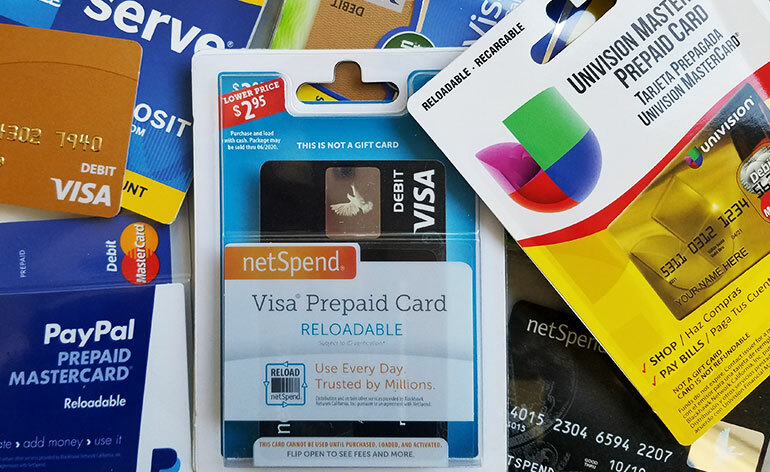 Which Reloadable Prepaid Card is Right for You? Before we look at the various reloadable prepaid cards available, I have to clarify that reloadable prepaid cards (also referred to as “General Purpose Reloadable” (GPR) cards) are NOT gift cards. Network-branded gift cards such as a Visa®, Mastercard®, Discover® or American Express® gift cards (also known as “open loop gift cards”) look similar to reloadable prepaid cards but they are not the same thing. As such, the rules and regulations that govern these cards and the reasons people buy them are different. So how do you know which type of card is in your wallet? Both reloadable prepaid cards and open loop gift cards have a network brand on them, but the gift card most likely has “gift” written on the front of the card. A reloadable card does not have the word “gift” written anywhere on it. Instead, you’ll find the words “reloadable,” “prepaid,” or both written on the package (and occasionally on the card itself). If you already purchased the card and don’t see “gift” written on the front of it, look for the term “reloadable” on the back. If you find the word “reloadable,” then you have a GPR card. Otherwise, you have a gift card. If you haven’t purchased a card yet, pay close attention to the packaging before making a selection. I recently heard from a consumer who mistakenly purchased a reloadable prepaid card instead of the open loop gift card he planned to buy. When the provider assessed the monthly maintenance fee and the card’s balance dropped, he thought he’d been scammed. What are Reloadable Prepaid Cards? 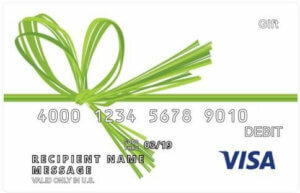 If a reloadable prepaid card is not a gift card, then what is it? A reloadable card works like a debit card, except that you preload funds onto the card with cash rather than use the card to access money held in a checking account. 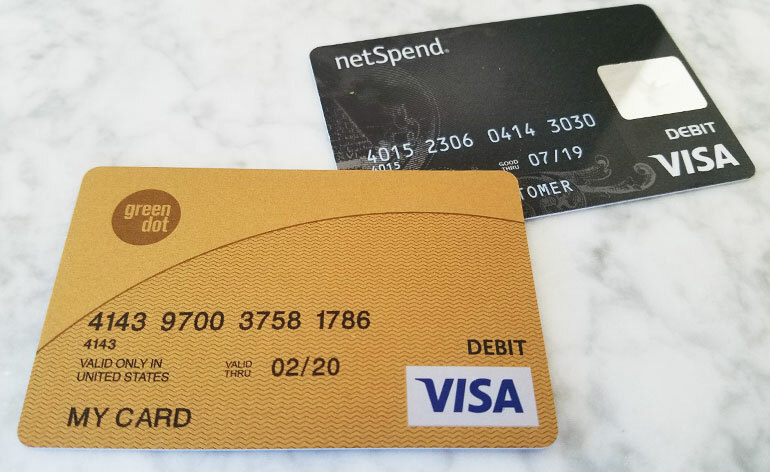 When you initially purchase this GPR card, you’ll generally receive what is considered a temporary debit card that can be used to make purchases until the funds on the card are depleted. A monthly fee probably will be charged against the card balance as well (check the package and the Cardholder Agreement). To make the card reloadable with ATM access, direct deposit and other features, you’ll have to register the card and upgrade the account. At that time, you will be asked to provide basic information such as your name, address, date of birth, email address and social security number. (If you’re not a US permanent resident, a US tax identification number or similar foreign ID number may suffice, depending on the card). It’s important to note that because this is a reloadable prepaid card (not a gift card), the monthly fee will be deducted from the balance of the card whether you’re actively using the card or not. Why Do People Use Reloadable Prepaid Cards? Avoid Banks. People who are tired of bank accounts and unpredictable bank fees (and yes, the “unbanked”) are using reloadable prepaid cards to pay for products, services and bills when paying with plastic is required or is simply more convenient (e.g. in lieu of a money order). Shop Online Safely. With prepaid products, people can shop online without the fraud concerns typically associated with using credit cards on the Internet. Protect Funds. Carrying a card is safer than carrying cash and storing funds in a prepaid account is much safer than keeping a stash of bills at home. If lost or stolen, a reloadable prepaid card and the balance on the account can be replaced. Track Spending. 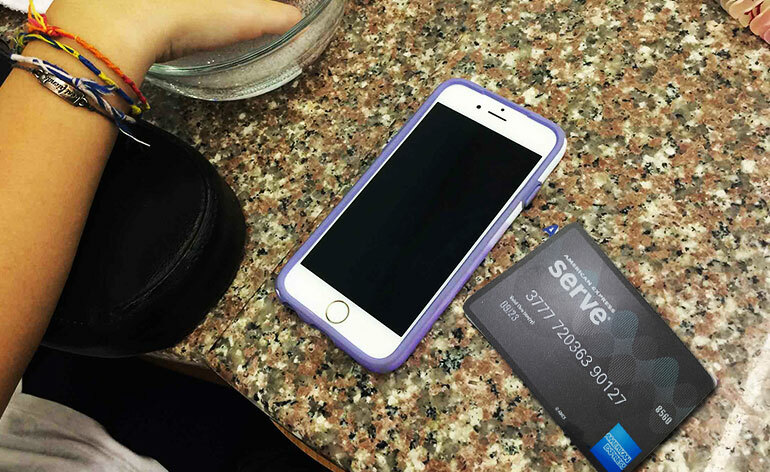 Unlike cash that can be spent mindlessly, electronic transactions can be reviewed and monitored so some people use these cards to give themselves a budget. For example, you might add a set dollar amount to your reloadable card each month to save for a family vacation then start using the card when the trip begins. Handle Business Expenses. Small businesses are using these cards for budgeting as well. In lieu of the petty cash drawer, for example, the receptionist has a card that can be used for office supplies, parties and other non-recurring expenses. Sales people might get a prepaid card to pay for trips and an entire department might use a prepaid card to pay for subscription services, marketing promotions and so forth. In these examples, a prepaid card is more secure than cash, less risky than credit and cheaper to manage than processing expense reports. Give an Allowance. Families often turn to prepaid products to give teens and college students an allowance for gas, groceries, books and other expenses. They can even be given as an emergency fund or as a tool for learning how to manage money responsibly before graduating to a bank account or credit card. Limit Fees. Finally, some people just want to limit the fees paid each month. Because costs associated with using reloadable prepaid cards are disclosed in advance there are no surprise interest charges, late fees or overdraft charges tacked on during the month. The cards aren’t free, but people who use them find the fees are more predictable than traditional accounts. 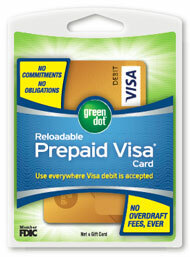 How do you intend to use the reloadable prepaid card? Will it be your primary money management tool, a complement to your existing bank accounts or is it simply a way to give spending money to your kids? The more you intend to use the card, the more likely you are to want access to the full range of features so it might be worth paying a higher monthly fee to get the individual services (e.g. ATM Access, direct deposit, bill payment, etc.) for free. How many transactions do you anticipate making each month? If you plan to use the card frequently, then a card that costs more but offers cash back rewards may ultimately save you money. If you only plan to use the card a couple of times a month such as when you want to make a safe online purchase, then a product with a low entry cost may be best. Do you need cash back? Cash can typically be obtained via an ATM, from a bank teller or as cash back after making a purchase Each card has different rules and potential fees associated with each method. If you anticipate needing cash back frequently, then look for a card that will give you access to your money as inexpensively as possible–even if that means paying a higher monthly fee. How often will you reload the card? 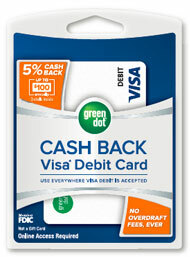 Once the temporary card is activated, most products offer free reloads via direct deposit. If you’re planning to reload via cash then check to see how much you’ll pay each time you add money. Though the reloadable prepaid card may not charge a fee, it’s possible that the retailer will. So ask the cashier at the store you’re most likely to visit how much you’ll be charged for swipe reloads, ReloadIt Pack of MoneyPak purchases. Will you add direct deposit? In some cases, the monthly fee will be waived if you deposit a specified dollar amount each month. For example, the Green Dot Reloadable Prepaid Visa card will waive the monthly fee if you deposit $1000 in the previous month’s cycle. 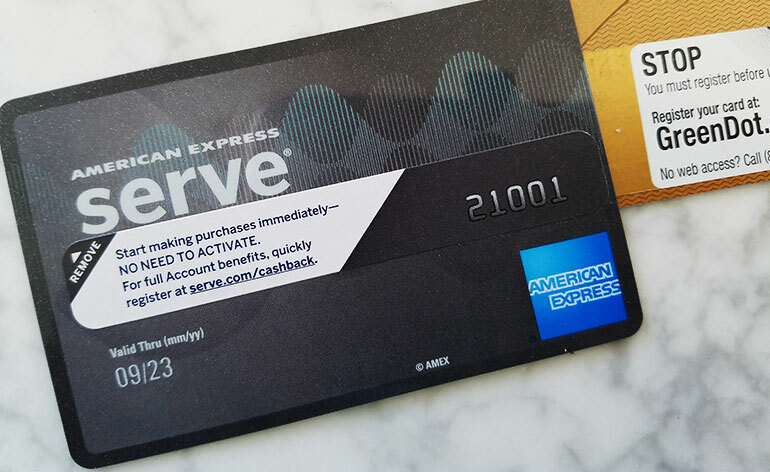 If you expect to add direct deposit, then look for a card that will waive monthly fees or provide other benefits in exchange. Will you need to transfer money to other people? Many brands will allow free and instant transfers to people who have the same type of account. 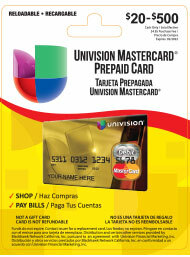 For example, Univision transfers are free to other Univision card holders. If you plan to transfer money from your reloadable prepaid card to another, then check which products the people in your circle are using before making a selection. After reviewing these questions, you should have a better understanding of the features you’ll use most often. Without taking a personal inventory, you may initially think a reloadable prepaid card with a high monthly fee is too expensive. But that card could end up being the least expensive alternative if the services you expect to use most often are fee-free. For example, you might be willing to pay a little more money each month in order to have free access to cash, free transfers to friends using the same card and convenient swipe reload at your local grocery store. Conversely, you may be better off choosing a card with a low monthly fee if you rarely need cash and only expect to make a few purchases each month. 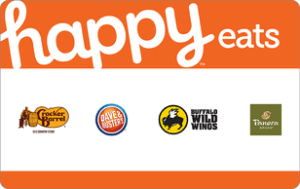 Comparison of the Top Reloadable Prepaid Cards? Reloadable prepaid cards are sold in Meijer, Albertsons, Safeway, Food Lion and Hy-Vee as well as many other grocery stores, often times near a wide selection of gift cards. See the chart below for a side-by-side comparison of the some of the most popular reloadable prepaid cards available. Free, unlimited All Points ATM transactions. 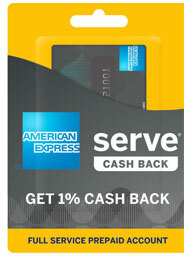 * The monthly fee is not charged on cards purchased in Arkansas, New York or Texas. 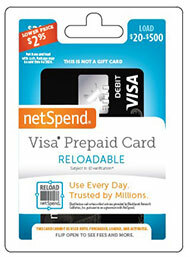 How Do You Add Money to Reloadable Prepaid Cards? After the initial purchase of a reloadable prepaid card, money can be added several ways including direct deposit from a paycheck or benefits account, transfer from a checking or savings account or mobile deposit of a check. 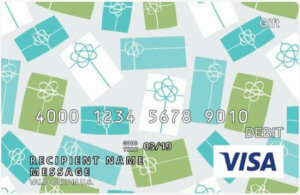 You can also reload the card with cash in a couple of different ways, depending on the brand you choose. To add cash to a reloadable prepaid card, either take the card to a participating retailer that can swipe it and add money directly to the balance or buy a Reloadit card for a two-step process. If you opt for the later, purchase a Reloadit pack for as little as $20 or as much as $500 plus the purchase fee of $3.95. 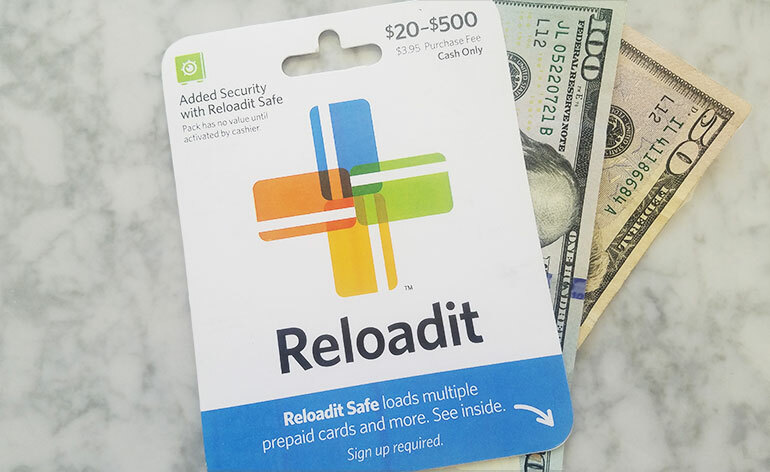 After the Reloadit pack is activated, go online to move the money from your Reloadit Safe to your prepaid account. So what do you think? Are you ready to become part of the great unbanked community or would you just like a tool for safer online shopping? If you’re already using one of these cards, tell me what it is you like best and what doesn’t work for you. I haven’t used them myself, but I can certainly see the value in doing so–particularly when it comes to giving money to kids. But I’d like to hear from your actual experiences. If you’re using a reloadable prepaid card, please add a comment below or reach out to me on Twitter (@GCGirlfriend). 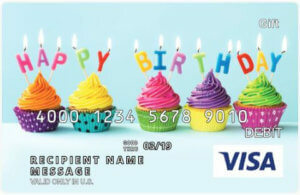 Happy Gift Reloadable Prepaid Carding! Where Can I Buy a Gift Card that Works Internationally?